Team USA added four more gold medals to their bulging tally, as they stayed seven clear of China on day 7. 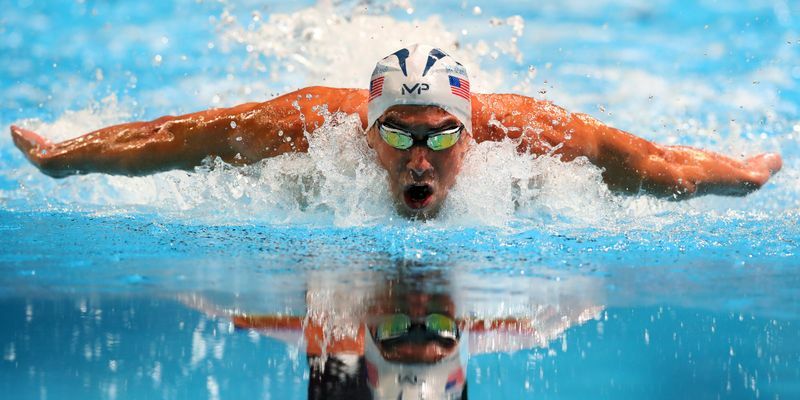 In swimming, Michael Phelps settled for a silver medal after finishing second in the men’s 100m butterfly, while Katie Ledecky set another world record in women's 800m freestyle. In swimming, American Katie Ledecky won her fourth gold in the 2016 Olympics by beating her own record by a margin of 11 seconds in the Women’s 800m freestyle final. She finished with a timing of 8:4.97. In the men’s 100m butterfly final, Michael Phelps was denied his 23rd gold medal, as he finished joint second alongside three others with a timing of 51.14. South Africa's Chad Le Clos, Hungary's Laszlo Cseh, and Phelps finished behind Singapore’s Joseph Schooling, who won his nation’s first-ever gold medal by clocking 50.39. Meanwhile, defending champion Andy Murray sweated it out against American Steve Johnson to reach the semifinals of tennis men’s singles event. Murray dominated the proceedings at the start winning the first 6-0, but he faltered in the second as Johnson took the set 4-6. Johnson, ranked World No. 22, tested the Brit till the final set, which Murray won in a tiebreaker (7-2). Rafael Nadal and Marc Lopez won the gold medal in the men’s doubles event for Spain beating Romania's Florin Mergea and Horia Tecau 6-2, 3-6, 6-4. Even though the duo had little experience of playing together, Nadal and Lopez looked in total control during the tournament to secure Spain’s third gold medal in Rio. In Archery, Korean archer Ku Bon-chan completed the clean sweep of gold medals for the Republic of Korea after beating European champion Jean-Charles Valladont of France in the men's individual final.